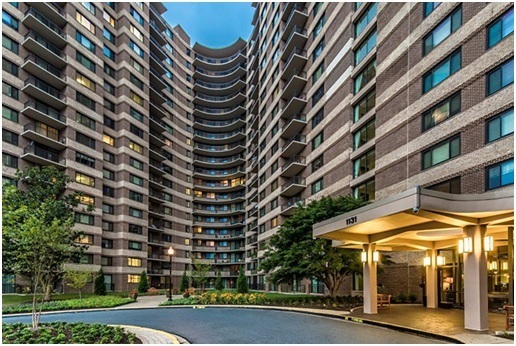 The Warwick is a 20 story residential building at 1131 University Blvd in Silver Spring, MD. The building is constructed with a reinforced concrete frame and was built in 1965. The balconies are cantilevered from the building, and the building facade is brick veneer with CMU backup. TCE performed a Due Diligence condition assessment on the building prior to it being purchased in 2011. 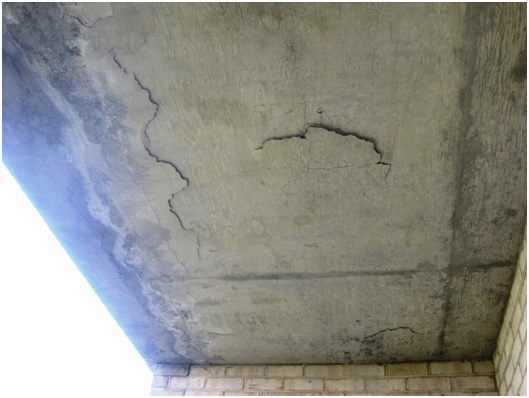 The study revealed that there was significant concrete deteriorated at the balcony decks, slab edges, and soffit of the balconies due to corrosion of the reinforcing steel. 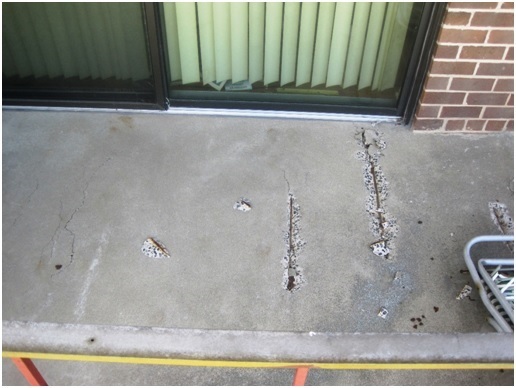 The rails at the balconies were severely deteriorated due to corrosion and did not meet current code. 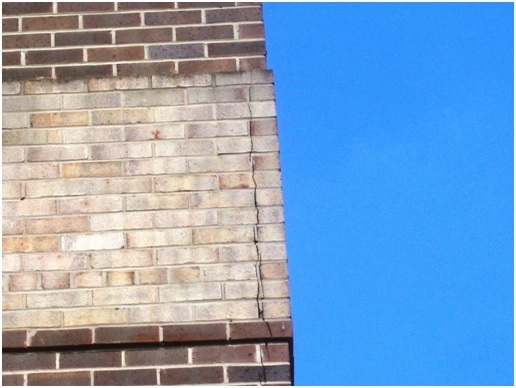 Cracked and spalling brick were found throughout the facade due to a lack of horizontal relief joints and vertical control joints. 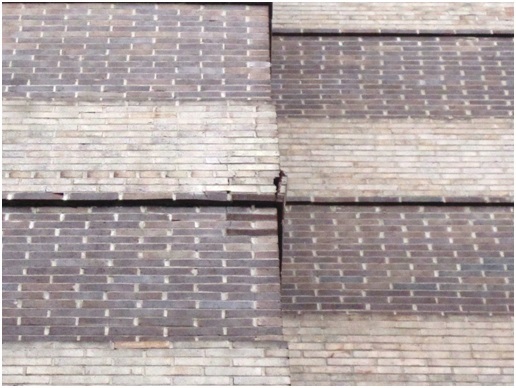 TCE developed a repair program to restore the original structural integrity of the balcony slabs, specified protection systems for the balcony slabs, and addressed the causes of facade deterioration. 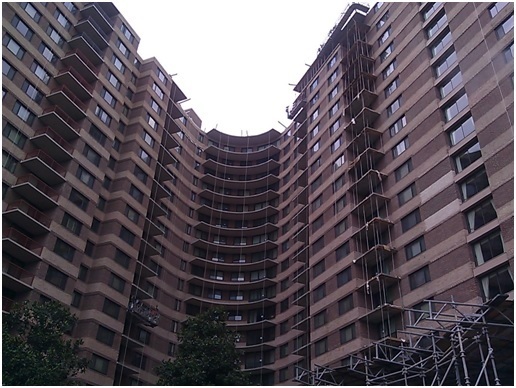 TCE designed concrete repairs to the balcony slabs, coating balcony decks with a urethane coating, replacing balcony handrails, coating balcony soffits with a breathable coating, installing new steel shelf angles with horizontal relief joints at each floor, installing vertical control joints, replacing facade sealants, replacing cracked brick, and tuckpointing deteriorated mortar joints.